van Eijck, D.J.N, van Ditmarsch, H, & Wu, W. (2011). 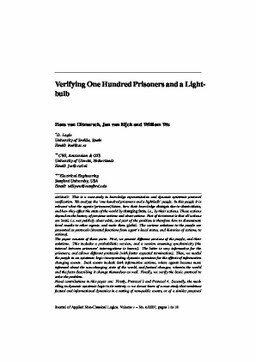 Verifying one hundred prisoners and a lightbulb . Journal of Applied Non Classical Logics.